The greatest footballing event on earth is here and the whole World is excited. No other event on earth is as followed, as anticipated, and as loved as the FIFA World Cup. While only 32 countries participate, people from non-participating countries not only watch but also support one or more of the teams that are playing. While some Muslims, due to various reasons believe we should not be watching the World Cup, the vast majority of the scholars believe that watching the games is permissible, as long as no obligatory duty is missed. Ustadah Yasmin Mogahed said, Your life is nothing more than a love story. Between you and God. Nothing more. Every person, every experience, every gift, every loss, every pain is sent to your path for one reason and one reason only: to bring you back to Him. So, the aim today will be to in sha Allah to enjoy the World Cup and yet gain some important spiritual boosters for Ramadan. 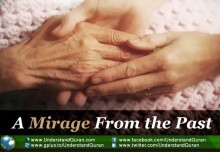 The Prophet sallallahu alayhi wasallam said, “The best of prayer after those prescribed (i.e. obligatory prayer) is that in the depth of night.” [Muslim] Depending on where you are on Earth, watching the World Cup might give you a good chance to pray Qiyam al-Layl, even in the depths of the night. For a large part of the World, parts of Asia and Africa included, the games are at such a time that we are up for the night. This gives us a chance to pray 2,4,8 or even more rakat of Qiyam al-Layl, especially in the one-hour breaks between matches! Staying up for the matches might actually make us pray Fajr on time. Many times in our lives we might reach a very high peak in our imaan. Sadly, many times the path onwards is a path downwards instead of going up and up. Spain, the World Cup champions, had a system that made them World Cup champions. However, just resting on it and going on to do just what they did spelled disaster. We should always strive to improve ourselves and increase our knowledge and worship so that the path we take always takes us up, not down. Brazil went behind 1-0 to Croatia due to an own goal and a mistake. Many a team would have just become deflated and been owned. But, Brazil never gave up. And not giving up resulted in them turning it around and winning. When Netherlands was facing Spain, it seemed a given that Spain, with most of their World Cup winning squad intact, would just steamroll a young and inexperienced Netherlands squad. However, they had a plan; they had a strategy and they worked in a way that the game played into their hands. And the result? They trounced the World Cup champions 5-1! 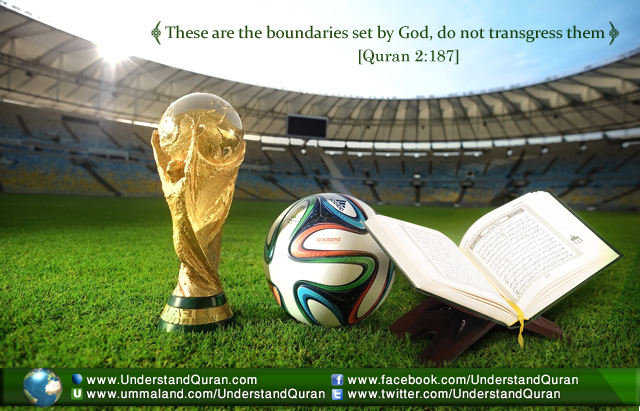 I would like to draw a parallel between the World Cup and our lives as Muslims. It is really amazing how players engaged in a football match or any other code of sport find their lives guided and governed by the rules of the game. They are aware of the fact that if the rules are broken or the laws are flouted repercussions will follow. The player is guided by the lines, boundaries, and parameters of the game which he plays. When we play football we would dare not touch the ball with our hands as the referee would penalize it. However, when it comes to doing something that we were not created for, something which would displease and bring punishment from the Lord of the Universe, we have no qualms about putting our hand forward. How is it that we are trying our best on the field to remain onside, in case the referee catches us offside? Yet, we have no thoughts or even fears of being caught doing something or being somewhere which does not fit in with the way that our Creator has blessed us. How is it that the players are cautioned by yellow cards and react by changing their game to suit the rules, yet when God Almighty gives us the various “yellow cards” such as the untimely death of a family member or friend, survival from a near death situation, and so on, we never turn and try to keep to the rules He set forth. How is it that the team wants to score and win before the final whistle, yet we live life without even scoring a single goal and conceding many, thinking that the final whistle of our life will never come? 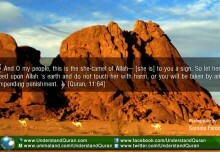 Which Name of Allah (swt) is This? AND THE ANSWER IS . . . AL-KAAFI! Sumaiya Iqbal June 25, 2014	Log in to reply. This post was the the the EPIC! Anika Nawal Ahmed June 25, 2014	Log in to reply. YAQOOB June 26, 2014	Log in to reply. tabassum June 26, 2014	Log in to reply.